From Walt Disney World’s News release: “During ‘Long Lost Friends Week,’ lesser-known Disney characters will step into the spotlight Jan. 21-27, 2013 for meet and greets at Town Square in Magic Kingdom park at Walt Disney World Resort. Fans will have the unique chance to get up-close and personal and enjoy photo opportunities with characters that could include Clarabelle Cow, Robin Hood or The Three Little Pigs. I’ve read countless stories of people, especially young adults, who have rediscovered their love for Disney after going through that adolescent phase of “Disney is not cool.” Be it the influence of peers, the loss of innocence, or just an attribute of growing up, it seems to occur for many. While I never went through a true “dislike” of Disney, I definitely did try to distance myself from it. It just wasn’t the “cool thing” to like, and as most boys around the junior high age, I just wanted to fit in. Do I look back at those years without professing my mouse fandom with regret? No, I don’t. I don’t think I would appreciate Disney as much without the opportunity to rediscover it. The summer before I started high school, I walked down to my local Blockbuster with a friend to rent a movie – Back to the Future 2, if I remember correctly. While in the store, browsing movies I saw The Little Mermaid on the shelf. Remembering my sister had mentioned wanting to watch it sometime, and in a rare instance of being a good little brother, I picked it up and brought it home as well. Not for me, but for her. Nonetheless, I put it in when I was home by myself, and became entranced; more than I would admit for a long time. The animation was great, the music by Ashman and Menken was just plain fun, and the story was enough to keep me interested. Buddy Hackett’s voicing of Scuttle was perfect, and still cracks me up to this day. One of my favorite posters from the movie. 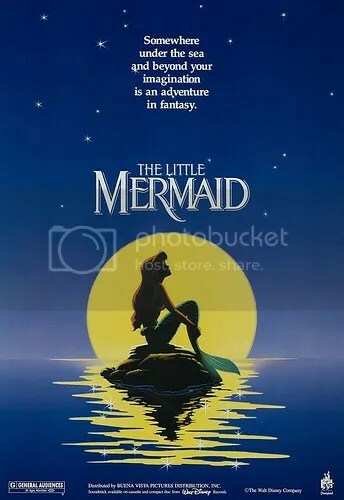 Of course, as much as I loved it, I wasn’t about to admit it to the rest of the world, much less tell the guys that I hung out with, “Hey, you really need to check out The Little Mermaid!” It still wasn’t the “cool” thing to do. So, as much as I was re-embracing the magic, it was a slow process I wasn’t sure I wanted to share with others. Being a part of performing arts in high school was a life changing experience for me. It taught me a lot about individuality. For anyone that’s been part of a group such as choir, band, drama, dance… I’m sure you get it. There are a slew of personalities, and in the confines of those hallways, they truly emerged. It was there I learned to be willing to share my appreciation for Disney, including, yes, The Little Mermaid. Along with one other particular experience chronicled in an earlier entry, “A Thank You Note,” high school was a critical time in rediscovering my love of Disney. Then there was the beauty of being able to go to Disneyland as a choir member. Having not been in a few years, that was an amazingly magical trip. Although it was only a day, and a day interrupted by “having” to perform, it was a day of firsts. My first time on Space Mountain, my first time on Splash Mountain (complete with a two hour wait in line), the time I truly was able to really appreciate the details in rides like Pirates of the Caribbean, and my first…churro. Oh, crispy, yet soft tasty churro. How many we ate while waiting in that two hour Splash Mountain line, I’m not sure. 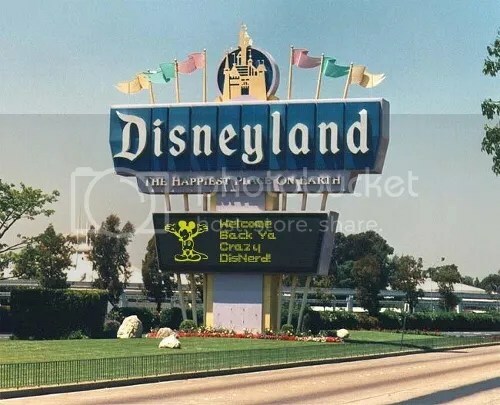 Between rediscovering movies like The Little Mermaid and going back to Disneyland that year, it really was like Disney was a long lost friend, but somehow I was truly meeting them for the first time. In many ways, every trip back to Disneyland and many of the movies I see are like seeing those old friends for the first time yet again. And I wouldn’t have it any other way.